Almost any identifiably New Orleans menu item has a corresponding festival, but up until recently, one of the city’s most iconic culinary treats was left without its own party. We’re referring to the beignet: little fried pockets of dough-y goodness ideally dusted with alpine levels of powdered sugar. Well, the beignet — the official state donut of Louisiana, if you were wondering — is no longer going without its own celebration thanks to the annual Beignet Festival, which returns for its third year in New Orleans on Saturday, October 6. The daylong party is free, and will take place at the Festival Grounds in City Park (4 Friedrichs Ave.) from 10 a.m. to 6 p.m. As you may expect, there’s going to be a whole lot of delicious sweetness going on (and a fair bit of savory too). The festival will benefit the Tres Doux Foundation, which funds programs and services for families impacted by autism. Beignet Festival founders Amy and Sherwood Collins created the foundation, and it uses the proceeds from the festival to create grants. 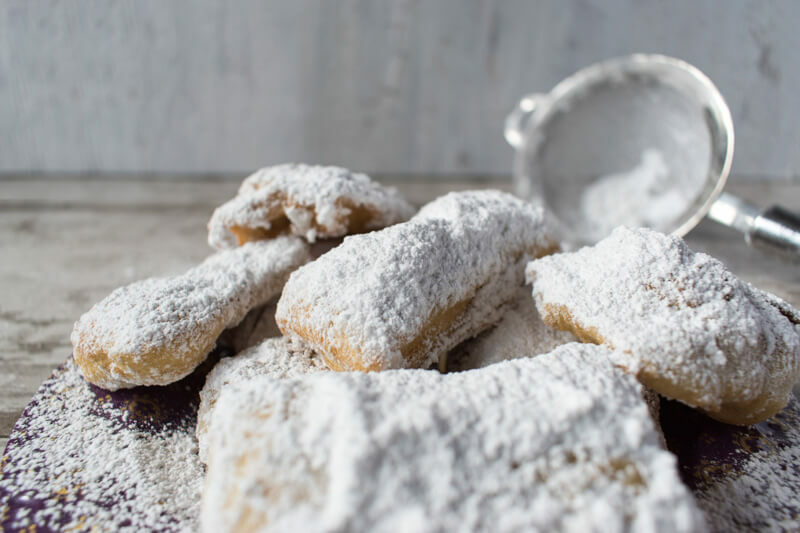 From traditional sweet treats swimming in powdered sugar to savory options bursting with seafood and cheese, Beignet Fest will feature more than 30 beignet dishes from some of New Orleans’ best restaurants and food trucks. Like most New Orleans festivals, the festival also features live music, a kid’s village, and the artist market. 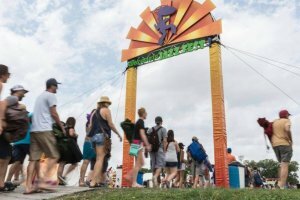 The VIP Experience buys you access to the front-of-stage viewing area and the bathrooms, plus a shaded tent with complimentary Cafe Du Monde beignets and beverages, and complimentary Abita beer. The musical lineup stretches for the whole day and includes Imagination Movers, Eric Lindell, The Original Pinettes Brass Band, Soul Project, and more. Food tickets, sold for $1 each, can get you way more than just sweet donuts. The Ruby Slipper Cafe, for example, will be serving cochon beignets smothered in pork debris (gravy), and bananas foster beignets along with Vietnamese coffee beignets. 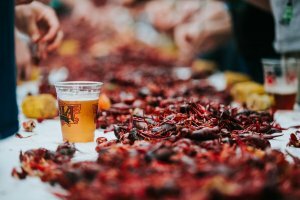 Katie’s Restaurant will be doling out its delicious and generously sized crawfish beignets, while Loretta’s Authentic Pralines will feature BBQ chicken beignets and crabmeat beignets stuffed with lump crab meat (voted the Best Overall Beignet last year). Fear not, however, Loretta’s will bring its famous praline and chocolate praline beignets to the fest as well. Oreo beignets, the 2016 and 2017 Best Sweet Beignet winner, are coming back too, courtesy of Luca Eats. Howlin’ Wolf Den is also returning with its 2016 Best Savory Beignet, bacon and cheddar beignet with chipotle crema. There will be vegan and gluten-free beignets and brownies from Girls Gone Vegan, and SNO-LA is even going help folks cool off with a beignet sno-ball, which we’d need to see to believe. The fest is kid-friendly, but no pets, please. Feel free to bring (along with your appetite, of course) blankets and chairs, and don’t forget sunscreen and maybe a hat as the Festival Grounds doesn’t offer a lot of shade. Blue Bikes will have a docking area located near the main entrance to the Festival Grounds if you’re considering biking. You can also hop on the Canal St. streetcar line. Get off at the end of Esplanade Ave. and Carrollton Ave., and follow the signage leading you to the entrance of the Festival Grounds.